APP’s Stainless Steel Banding Clips (BI-C256) are used to secure our ProTek, CryoTek, and AeroTek product lines. We have chosen stainless steel for its corrosion resistance and longevity. The banding clips are made of type 201 stainless steel and are designed to accommodate both single and double wrap bands. Their unique teeth and ears provide for maximum clamping strength. Once tensioning is complete, the clip ears secure the cut end of the banding. 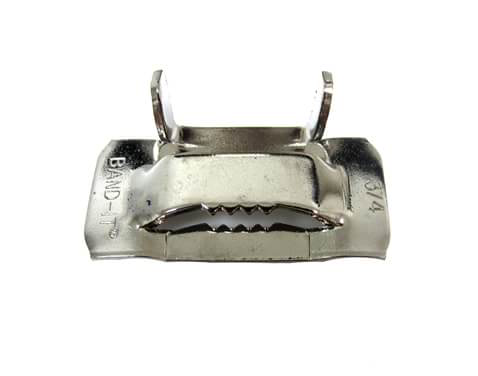 The opening can accommodate up to two layers of banding and the internal teeth provide gripping strength. Type 201 stainless steel provides strength and won’t corrode. Custom Manufacturing Available in ½” or ⅝” width by special request.